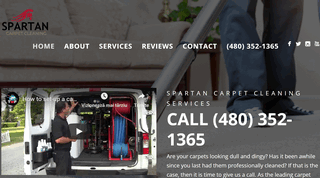 Spartan Carpet Cleaning is premium quality commercial and residential cleaning service. We have over 25 successful years of invaluable cleaning experience along with thousands of satisfied customers in the greater Scottsdale area. We are accredited by the Institute of Inspection, Cleaning and Restoration Certification (IICRC).